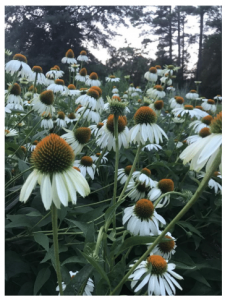 In past blogs we have talked about: What is a Pollinator, What’s all the Buzz about Pollinators, The Changing Landscape, Cultivating your Emotional Garden, and Beginning your Garden Design with Collages. 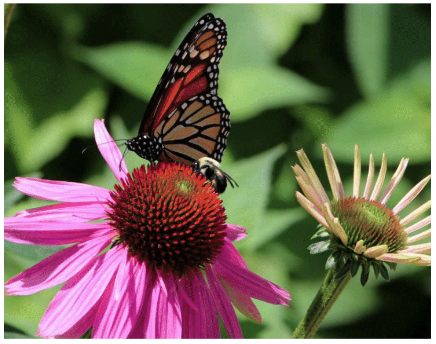 Now, let’s talk about the Basic Principles of a Pollinator Garden. USE NATIVE PLANTS. 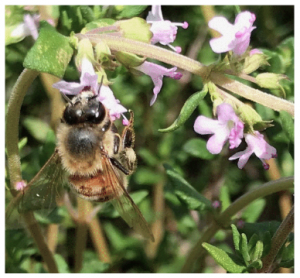 Pollinators and wildlife in general are better adapted to native plants and native plants are better adapted to the climate and soil of their region. The nectar and pollen they provide is nutritious and will provide the energy that they need. My landscape is about 90% natives but any amount will help, so dive into the wonderful world of natives. Visit the Native Plant Society in your area or find a local mentor that is a native plant enthusiast. USE A DIVERSITY OF PLANTS. You only have to think of your own diet to understand this principle. The more diverse your food supply the better nutritional health you will have. The same goes for pollen and nectar. Flowers carry different nutrients and amino acids. Nectar is primarily an energy source and pollen provides protein, fatty acids, vitamins, and minerals that are essential for raising their young. Having a wide variety of flowers will increase the nutritional quality of floral resources for our pollinators. LOTS OF COLOR. I was amazed at what colors pollinators are attracted to in my garden. Keeping a journal helps keep track of what your best pollinator plants are, some pollinators only go to certain colors. The hummingbird moth stayed mostly on my purple dianthus and other dark flowers. A particular skipper butterfly only went to flowers in the pastel range. If you grow a flower mix of zinnias, spend some time examining what colors certain pollinators like best. You may be surprised at your findings. LARGE SWATHS OF ONE SPECIES OF FLOWER. 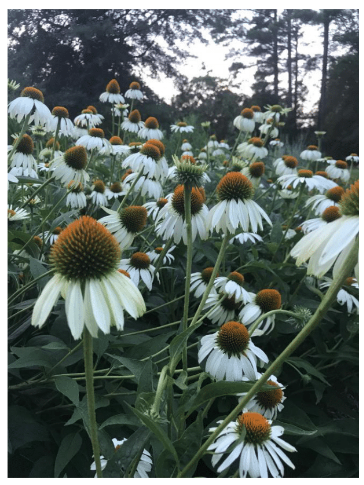 In landscape design school I learned to plant in groups of 3, 5, or 7 but in a pollinator garden you might grow 10 to 20 of the same variety of perennial in one area of the garden. I grew a large area of White Swan Echinacea, another one of purple dianthus, and another one of Salvia evolution. These large areas help pollinators in several ways. Most important is it makes it more efficient for them. They can stay in one area and not have to fly distances to get to the next flower. They don’t have to figure out the flower structure and how to find the pollen and nectar because it’s all the same plant. It also helps pollinate that plant because it isn’t cross pollinating with other species. GIVE THEM A DRINK. Like us, pollinators need water. Always provide a shallow water source for them. If your birdbath us too deep, add some stones to give them a shallow area or something to crawl up on if the land is in the water. BE MESSY. Leave twigs, logs, and clippings from deadheading (chop & drop). Mulch with grass clippings and leaves instead of hardwood mulch when you can. Many of our native bees and pollinators nest in the soil and in cavities. Hardwood mulch can be like concrete for a small bee to move to find the soil to nest in. 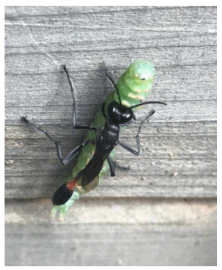 that eat pests. Not all of them but enough that the garden stays in balance most of the time. Very little action is needed except for a little hosing off, squishing, hand picking, making sure that the plant is growing healthy, and a few physical barriers. I rarely use any soaps or oil sprays since they can harm beneficial insects too and to be honest, I just don’t have to. Id a plant is suffering from a lot of pests I usually stop growing it. The worst of the pesticides is the systemics that go up into the plant through the leaves or roots and create toxic nectar and pollen. Be sure to ask your nursery if they are pesticide free, in particular systemics, when you buy from them. I grow most of my own but when I do buy them I ask the nursery to make sure I’m not taking anything home that might harm my pollinators. 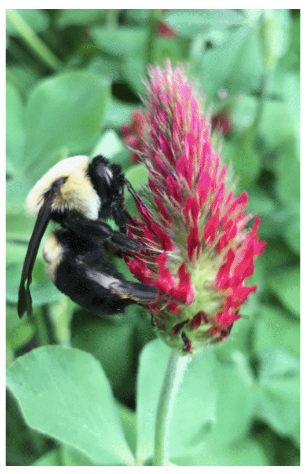 on clover are the first to provide pollen and nectar for the earliest of bees like bumble bees, mason bees, and other pollinators. Thyme is a great landscape plant, evergreen and early bloomer. Then comes the creeping phlox and catmint, the the Gaura, Milkweed, Echinacea, Dianthus, sunflowers, cosmos, and Rudbeckia and in fall comes the Asters Heleniums, Cardinal Flowers, and Solidago. *Cover photo courtesy of Jimmy McInville. Ann is a Certified Horticulturist, Master Gardener and Arborist with 35 years in the Horticultural and Landscaping Field. 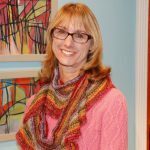 In her community, she serves on the Piedmont Tech Horticultural Advisory committee along with Bee City USA, America in Bloom, Lakeland's Master Gardener Board of Directors, and the Festival of Flowers Committee. She is a Strategic Partner with Park Seed, Wayside Gardens and Jackson and Perkins - educating on pollinators and wildlife.